The Eagles continued to pad their lead over the Patriots with this punt return for a touchdown. The Philadelphia Eagles jumped out to a 28-14 lead over the New England Patriots in the third quarter, but they didn’t do it on offense. After returning a blocked punt for touchdowns earlier in the game, the Eagles’ special teams unit wasn’t done. The Patriots’ offense stalled with 4:39 left in the third, forcing Ryan Allen to punt it away to Darren Sproles. This time, it wasn’t blocked, but the result was the same. Sproles took the punt back 83 yards to the end zone, giving the Eagles a 14-point lead with just over one quarter to play. 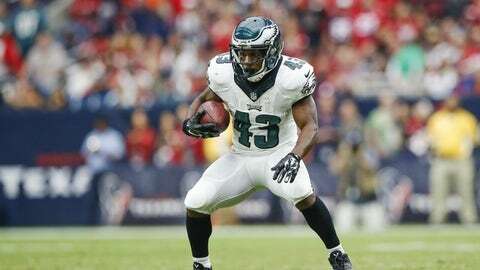 It was Sproles’ second punt return for a touchdown this season and the seventh of his career.